Shown praying for the program is Reverend Marvin C. Zander, II of St, Paul AME Missionary, students Alvin Marks, Jordan Wells, Sons of Allen Chairperson Joseph Coppock, Jr. and Tony Hill. 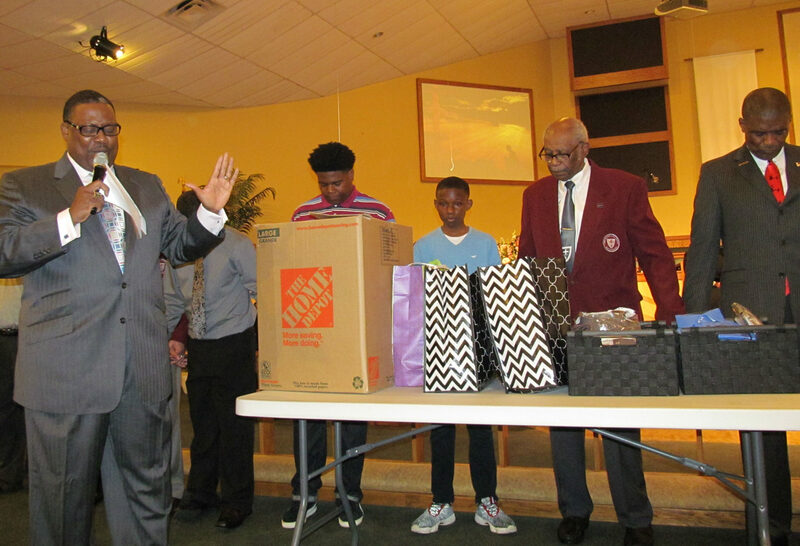 St. Paul AME hosted the Sons of Allen dedication of 80 shirts and ties to the 5,000 Role Model of Excellence program. 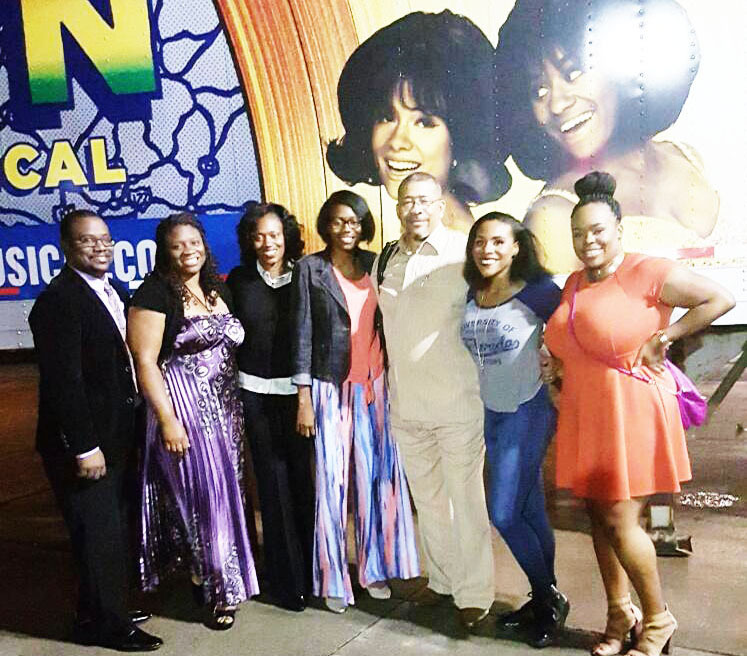 Former senator and community trustee Tony Hill led the call for donations to the program. “The goal for this project was 500 shirts, we are 100 short. We’re asking the community to help us reach our goal; you can drop them off at WCGL. We are in need of white long sleeves shirts Large, XL 17-171/2 — 18-181/2,” said Hill. 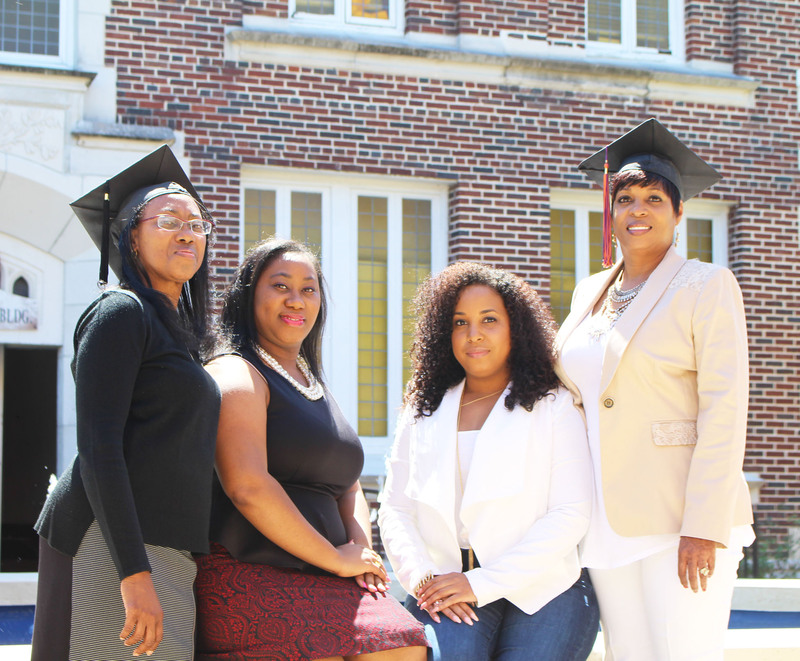 The 5000 Roles Models of Excellence Project is a dropout prevention, mentoring program committed to closing the minority male achievement (access) gap by guiding minority male students.